Nobody Does It Better or Morphine Through A Drip? 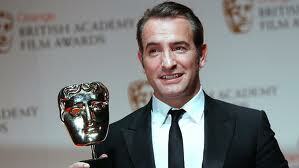 Before we get into BAFTA, here are a pair of presents. Looking up from the work at hand — bringing home as many Oscars as possible — a couple of studios have watched what big money PACs have wrought, and liked what they saw: money = influence. No, no, no, this time it’s a good thing. These featurettes were made in the hope of swaying voters, but they’re shameless fun all the same. 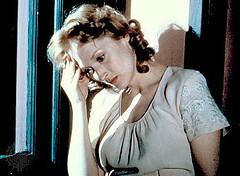 (Okay, the von Sydow piece is truly barefaced and blatant fun, and it diminishes my ardor for him not one scintilla.) . Take another brief look at the incomparable Hugo. Here’s a celebration of the equally incomparable Max von Sydow. I’ve been trying to puzzle out why last night’s BAFTA Awards show went down so smoothly, at least at this house. Not the awards themselves — a few things to talk about there — but the feeling of the event. It may be a certain British take on life in general that seems so appealing. Offer a wild opinion to the kind of Englishman now owned by Colin Firth, and his opening salvo is, “Yes, well. . ” It has to do with reticence, a deep level of wit and intelligence, and the sense — rightly or not –that the person you’re speaking to is as least as quick as you are. It’s so flattering, really. The show last night seemed to be steeped in that attitude. It gets on with things. Even thought it’s held at the Royal Opera House, it seemed intimate, certainly compared to whereever they house the Oscars, where the vastness is always chilling. BAFTA seems blessedly anti-banter (Aussies excepted), which usually means a single presenter, even a grown-up, who gives a short intro that gets briskly to the point. Although music is recognized, there are no song awards,and thus no music production numbers. Think of the time your life gets back, right there. A few people have asked about the Margaret in Margaret, as well they might. My apologies! I think she was ungallantly left behind during a cut-and-paste from another version, although this may also have had something to do with it. “Margaret, whom we discover must be called Mar-gar-et to fit the meter of Victorian poet Gerard Manley Hopkins’ “Spring and Fall,” is a “young child” who grieves over changes in nature she is noticing for the first, painful time. It’s the kernel of writer-director Kenneth Lonergan’s epic look at the effect that the fall from another kind of innocence -– uncompromising idealism –- has on Lisa Cohen (Anna Paquin) a smart, self-absorbed 17-year old in New York City, a few years post-9/11. Lonergan lets Matthew Broderick give “Spring and Fall” its ideal reading, as an English teacher trying to pry responses from one of the poem’s tougher audiences, privileged kids, including Lisa, at a private school on the Upper West Side. It occurred to me that the few readers lucky enough to see Margaret may not know Lonergan’s breakout success, You Can Count On Me (2000). It’s worth watching – again or for the first time. Scooping up indie and critical awards across the country, the film gave Laura Linney her first Oscar nomination and ignited Mark Ruffalo’s movie career after years of theatre. Quite aside from its cast, perfect in Lonergan’s droll mix of dry wit, deprecation and tenderness, Count On Me is a time capsule of American innocence itself, before the convulsions of 9/11 and all that has followed. Never, ever dismiss a grassroots movement (just ask Elizabeth Warren). Or the indignation of film critics, denied the chance to see what one of their clan has called “One of the year’s, even the decade’s, cinematic wonders.” The result has been a flurry of petitions, blog-wails and unkind aspersions directed at Fox Seachlight, from here at home and as far away as the U.K.
Here’s where critics come in: with 3 ½ stars from the Seattle Times’ Moira McDonald and a strong pick-up review-let at the Weekly – and, no doubt, a buzz in every cranny of Scarecrow Video – Margaret’s healthy weekend grosses have earned it a second week, through February 9th. The tidy among us should probably know that Margaret is almost as gloriously unruly as Anna Paquin’s Lisa herself, and that we will be following her at almost eye level for 149 minutes, as Pacquin virtually irradiates the screen. 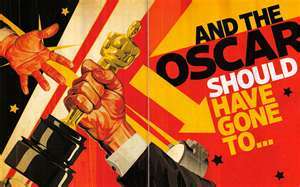 Very mixed bag, in and around the Oscars this week. At Park City, Utah, the Sundancers had the heaviest kind of pall thrown over their festival when one of the pioneer Indie good guys, Bingham Ray, there as always, suffered a stroke and died at a Provo hospice at 57. This invaluable mini-portrait of Ray, made by documentarian R.J. Cutler (The War Room) and Paco de Oris in 1996, was just posted over at Deadline.com. In it, Ray talks about Secrets and Lies, and the impact a possible Oscar nomination might make for its writer-director Mike Leigh, as well as for October Films. Then you get the chance to watch pandemonium in (semi-) high places as the nominations are broadcast. As I write this, the Screen Actors Guild awards are just over, and The Help took Best Ensemble, with Octavia Spencer Best Supporting Actress and Viola Davis Best Actress. In the infuriatingly slow ways that these things evolve, in and through film, it might be possible to see a continuum from the humor and bravery Leigh located in his film to those same qualities in The Help. Possibly. Of course, being the work of Mike Leigh, the young black optometrist of Secrets and Lies (the radiant Marianne Jean-Baptiste) trying to track down her birth mother was independent and upscale. It was her white mother (Brenda Blethyn, equally unforgettable) who was a scatty factory worker. Let’s pick through this year’s full-on melodrama at the Academy Award nominations and see what seems to stand out. Is this deep, inside stuff you can take to the betting window or the office pool? Good heavens no. I’m habitually awful at that game. This is a bemused look around by someone a little off to one side, and just crazy enough to take it all in. You want depth, the internet now churns with writers whose depth of field in Oscar stats is stunning, although sometimes it seems that the Oscars are their only world. For clarity, and a sense of proportion on the nominations (and all things Hollywood), I’d trust the New York Times team of Michael Cieply and Brooke Barnes who, among other challenges, make the virtually impenetrable Academy rule changes clear, and do it with a sheen of wit. They’re non-geeky and nicely reliable. As for me, it looks as though the Academy has tried to shake things up. A little. So we have Demian Bichir on the Best Actors list for A Better Life, and Nick Nolte as a Best Supporting Actor in Warrior. (Now to find those films!) We have the fortitude of the Animation Committee who resisted The Adventures of Tin Tin in all its mirthlessness, and having been left off nearly every of those churning prognosticators’ lists, Tinker Tailor Soldier Spy came out of the cold. Thrilled to see its 3 nominations, especially Gary Oldman’s first. Then it’s the Oscars, February 26th (nominations January 28th.) I have less than no faith in that august body, which moves like lemmings with a strong startle reaction. Think back to that clip from Julie & Julia during the Kennedy Center night, when Stanley Tucci’s Paul Child asks his wife Julia what she likes to do best, and, brimming with enthusiasm and a mouth full of divine French food, she says, “Eat!” Consider the pure joy of that performance. Then remember: that year, Academy voters preferred Sandra Bullock. It makes me worry that they’ll let her towering work as Margaret Thatcher go unacknowledged while they dither over its “propriety” or “historical inaccuracy” or, heaven help us, its “anti-feminism.” Really! So, at this house it’s been one or another of her 46 features, each night, with or without friends, just to warm up the gods. We’ve had The River Wild, which she said she made to prove to her girls that she was brave, and A Cry in the Dark and Sophie’s Choice, which proved it to the world. Next is One True Thing, her open-hearted evocation of the kind of small town Americans she grew up around. I also dug out hindsight from the file, to prove that my appreciation isn’t a sometimes thing. This was from the late 80s, an attempt to sum up her decade of extraordinary portraits. “With Sophie’s Choice the disappearance of Meryl Streep into the persona of a well-born Polish Catholic survivor of the Nazi death camps approaches the eerie. Whether she is speaking excellent German or halting or fluent English, Sophie must convince us that her mother tongue is Polish. At one time or another, she must be “utterly, fatally glamourous,” grey-green with malnutrition, giddily flirtatious, besotted with love or romantically melancholic. All the while, at the deepest level, she is carrying a secret horrendous enough to char the edges of anyone’s soul. Horton Foote died March 5th, 2009, at his daughter Hallie’s home in Connecticut where he was at work cutting his ‘Orphan’s Home Cycle’ from 9 plays into a 3-act version for Broadway in the Fall of 2009.Â Broadway theatres dimmed their lights in his honor for one minute that night. 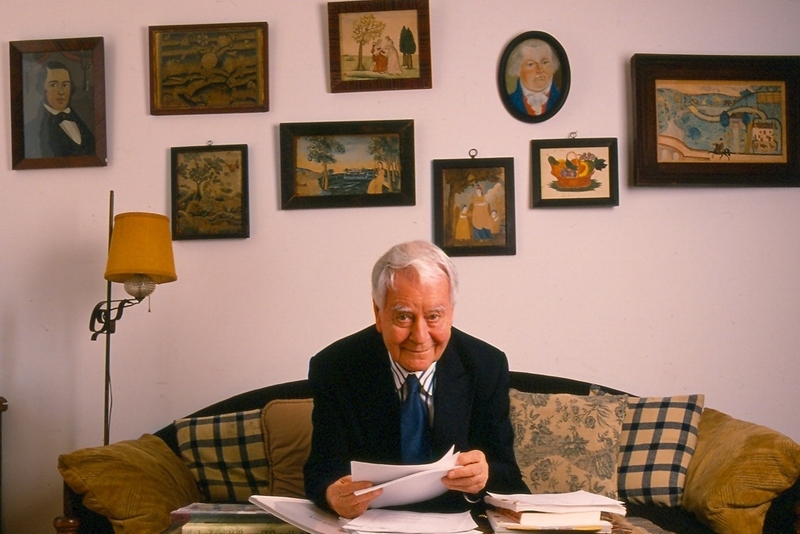 I spent a week with Horton Foote in 1993, in Wharton, Texas, the town he had been writing about all his life, in one form or another. The calm, high-ceilinged house he lived in reflected a lifetime of collecting, at flea markets and country auctions, with a great eye and a gamblerâ€™s luck. Horton and his wife Lillian had gathered superb pieces of Americana, naÃ¯ve folk paintings and family silhouettes and mixed them with wit and sureness and a touch of the unexpected. Directly next door, where he put up guests, sits the white bungalow-style house in which Foote was born. Unlike most of the rest of the country, thereâ€™s a sense of continuity in Wharton. It comes out in strolls around his slowly emptying town, where Foote is still a local celebrity and can tell the history of every family in every house, many of whom are kin, in varying degrees of closeness. As deeply rooted as Foote is in Wharton, he has been equally entwined with his family: Lillian Vallish Foote, his inseparable partner of 48 years, and their 4 children: Hallie and Horton Jr. who are actors, Walter, a lawyer and Daisy, a playwright. In August, 1992, Lillian Foote died, after a brief illness. In September, The Roads to Home opened in New York, the play on which her husband and daughter were working at the time of her illness. The following May, Hallie won an Obie for that performance, which her father wrote and directed. Sheila Benson: Youâ€™ve written in so many forms, how do you think of yourself? Horton Foote: I’m essentially a story teller, although the people that are hardest on me always say that I don’t have enough story. I guess what will get me going is the human condition. But what I do, through thinking and thinking and thinking and thinking, I try to get the essence of things. His Face Book profile (in which he says he has no plans to get married) has already been taken down. Next, I think he’ll be out drinkin’, prolly with Track or some other buddies, get bleary, blotto drunk, and wake up the next morning to find that somehow, although he can’t remember it, he has enlisted in the U.S. Army. His protests will get him nowhere; in record time, he’ll find himself in a still-dangerous corner of Afghanistan where, suddenly, somehow a stray bullet will end his young life. This casket will be photographed. His pregnant grieving widow will meet the plane, most likely still hauling around Trig, since that seems to be her job; his (would-be) mother-in-law will meet the plane; the honor guard will be there. God knows John McCain will be there. There’ll be talk of burial at Arlington Cemetery, although in the end, Alaska will win with its claims of unlimited fuel reserves for the Eternal Flame. All of us who know and love Wag the Dog will recognize this as the Old Shoe moment brought to life. For the rest, there’s Netflix.